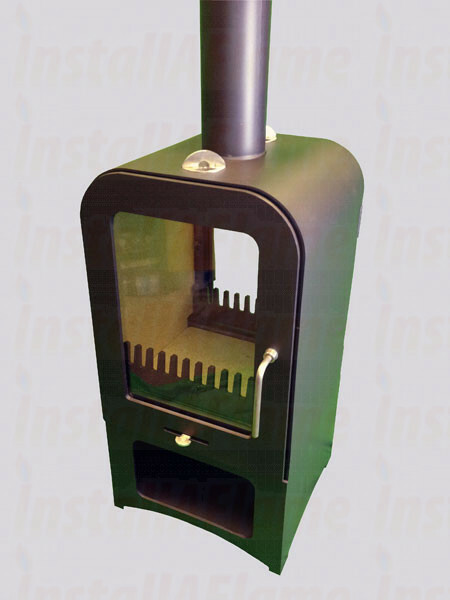 The Vesta V8 contemporary wood burning stove from Vesta Ironworks is a classic fusion of simplicity and technological advances. 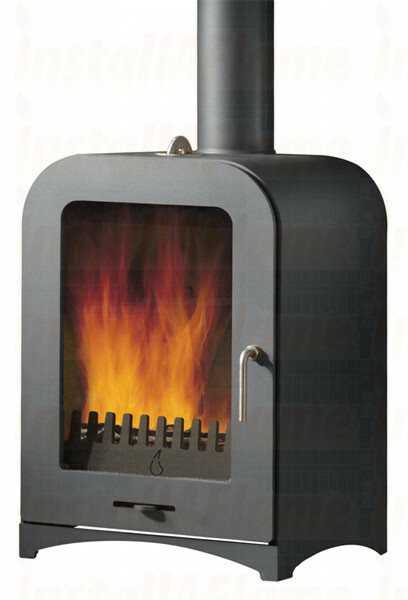 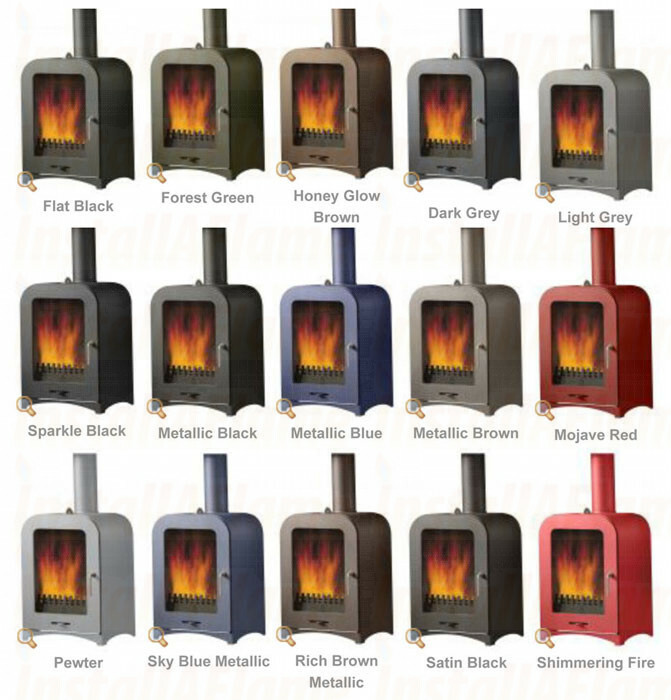 The original stove design from Vesta the V6 stove contains everything you would expect from a British built high efficiency wood burner. 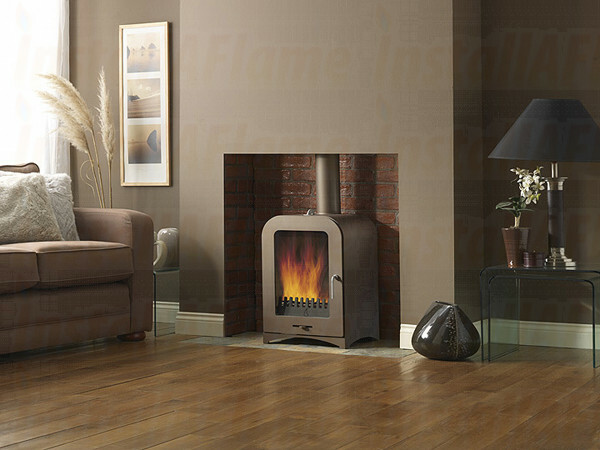 The classic curved surfaces on the Vesta V8 wood burner add style and these arcs are carried on throughout the theme of the fire. 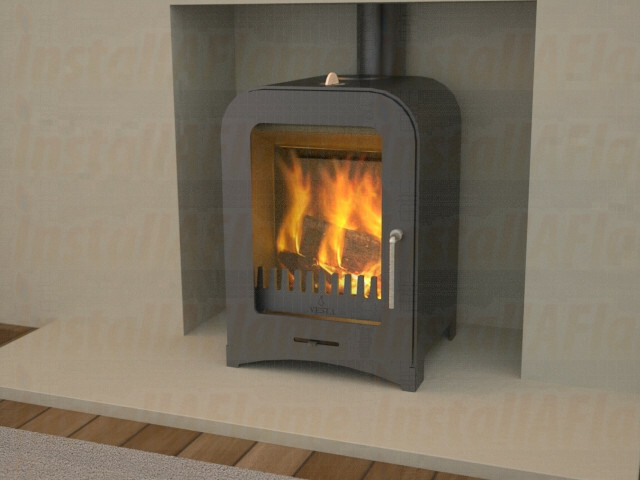 The stove integrates Vesta Air Blade technology which preheats the combustion air and delivers a blade of air across the glass pane, ensuring that the view of the flames is free from soot and condensation. 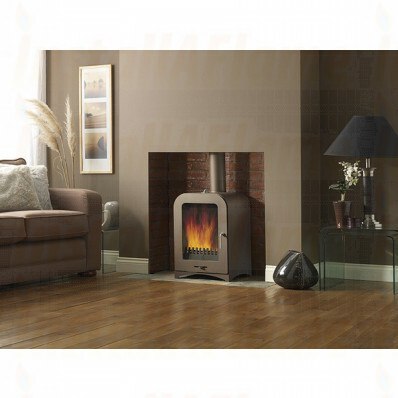 The Vesta V8 contemporary wood burner also contains further developments in efficiency by introducing a tertiary jet of combustion air into the flue gasses allowing for enhanced combustion and increased efficiency. 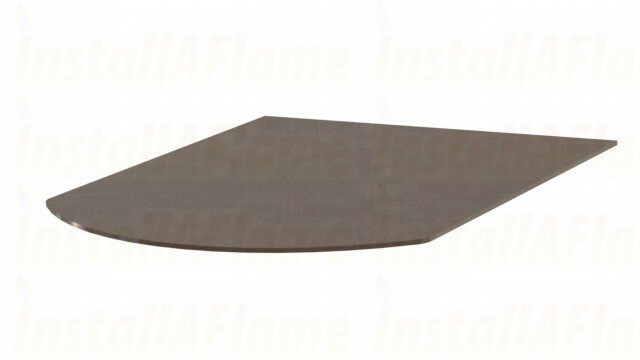 Preheated air is also injected into the combustion zone through Vesta's rear primary air supply.